One of the most common causes of accidents, both in the home and in the workplace, is from slipping on floors, which can result in severe injury or even death. If such a mishap occurs, the injured party could be out of work for many months and could even sue your company for damages. 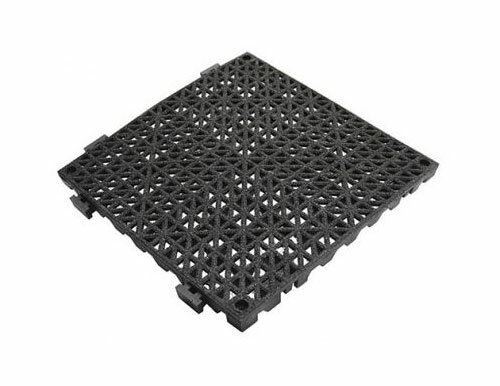 Sure Foot Industries makes two main kinds of slip-resistant safety tiles: standard and grit-coated. All parts of both types are available in both black and yellow, in coated and uncoated finishes. The degree of chemical resistance depends on the particular material used. For instance, non-slip flooring tiles made from 20 percent type 2 acetic acid are resistant at 72 degrees but not at 140 degrees. 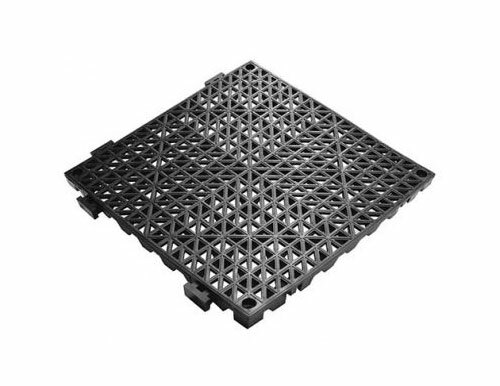 We have two kinds of ramps for the tiles, two-inch end and corner ramps and six-inch transition ramps. Our non-slip flooring tiles are made from PVC (polyvinyl chloride) plastic, which is widely used in modern flooring because of its comfortable feel on the feet and because it prevents the buildup of microbes, which again makes it ideal for hospitals, restaurants and other establishments where the maintenance of a germ-free environment is essential. Contact us to speak with a representative about ordering our non-slip flooring tiles for your workplace!